Stand a chance to win a R2000 Woolworths voucher! Reply to the Woolworths Competition post that is posted on the Afternoon Express Facebook page during the Competition Period by sending us a recipe that you make that uses less salt than normal. Only entries received during the Competition Period will be considered. Entries for the Competition will open at 17h00 on Monday, 5 December 2016 and will close at 21:00 on Monday, 5 December (Competition Period). 1.1. The Afternoon Express Woolworths Salt Competition (Competition) will be run by Cardova Trading (Pty) Ltd in association with Woolworths (Pty) Ltd (Organisers/we/us/our). 4.1. 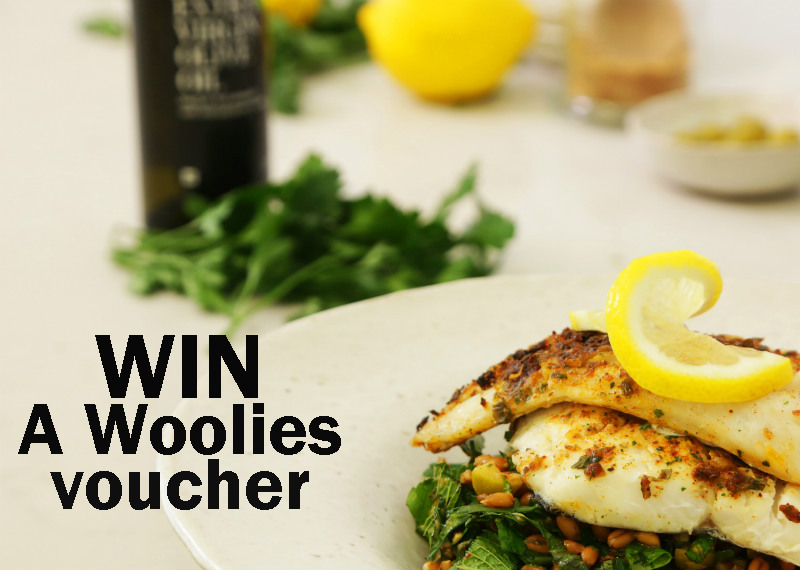 Reply to the Woolworths Competition post that is posted on the Afternoon Express Facebook page during the Competition Period by sending us a recipe that you make that uses less salt than normal. Only entries received during the Competition Period will be considered. 5.1. A panel of judges, who are appointed by us, will select 1 (one) person (Winner) from all valid entries as winner of the Competition within 2 (two) days from the closing date of the Competition, subject to clauses 5.2 and 7.2. The Winner will be the entrant who is determined in the sole and unfettered discretion of the judges as the entrant who submitted the most entertaining and/or interesting entry. 5.2. We will notify the Winner by commenting on the Winner's entry post within 1 (one) day from determination of the Winner to request a copy of his/her identification document in order to validate his/her entry and to request further contact details. The Winner shall be required to provide an electronic copy of his/her identification document within 3 (three) days from being requested by us, failing which the Winner will forfeit the Prize and have no claim against us. 5.3. If a Winner does not reply to the notification message sent by us by within 3 (three) days from it being sent by us, the Winner will forfeit the Prize and will have no claim against us. In the event of a forfeiture as contemplated herein, we shall have the right to select a different entrant on the same conditions. 5.4. The Winner may also be announced live on Afternoon Express and on the Afternoon Express website and social media pages once the Winner is confirmed. 6.3. The Gift Card may be presented as payment for purchases at participating Woolworths stores and use of the Gift Card shall be subject to standard terms and conditions for such gift cards as promulgated by Woolworths. 6.4. Purchases can be made using the Gift Card until the value reaches zero. The Gift Card cannot be reloaded. 6.5. The value in the Gift Card is only exchangeable for purchases at selected Woolworths stores and may not be refunded or redeemed for cash. No cash will be given. 6.6. We will contact the Winner to receive all necessary information to deliver the Prize and the Prize shall be delivered to the Winner at an address within the Republic of South Africa within 20 (twenty) business days from confirmation of the Winner, unless otherwise agreed. 6.7. We reserve the right to substitute the Prize, or part thereof, with any other prize of a similar commercial value. 7.6. You warrant that your entry does not contain any material that may reasonably or generally be deemed to be derogatory or offensive to other persons. We reserve the right to remove any post from any media platform controlled by us should we in our sole and absolute discretion deem any material contained in your entry to be derogatory or offensive. 7.11. The Competition is in no way sponsored, endorsed or administered by Facebook or Twitter and any correspondence related to the Competition should be directed at us and not Facebook or Twitter.